Like the rest of the world’s climbing community, we at Patagonia are deeply saddened by the death of renowned Swiss climber and mountaineer Ueli Steck on April 30, 2017, in Nepal. 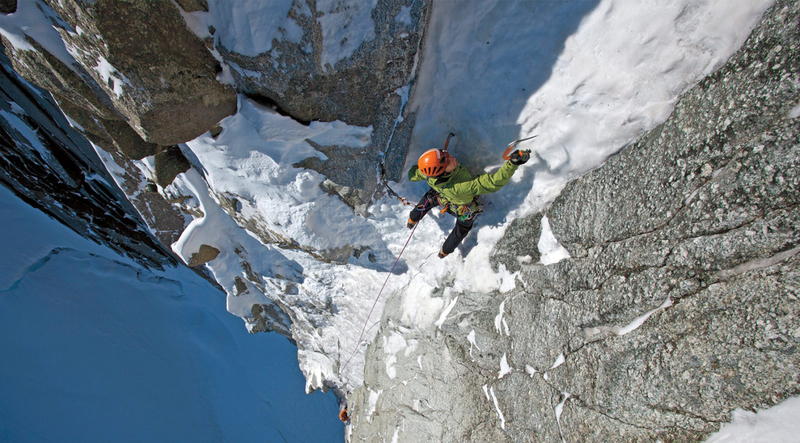 Below, alpinist Steve House remembers his friend. Ueli was, and always will be, a leader to me. A visionary who was internally motivated to improve, to forge, to retest and to rediscover himself, over and over again. Ueli wrote a great and profound story with his life and his climbs. He had become a person who knew something about his humanity, his humility, his pride and his ego. He had a certain earned wisdom that is rare in this world. He had so much to teach us. 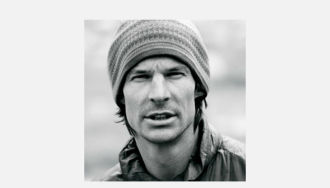 The world is poorer with this abrupt end of his story; we needed to hear what he learned through his alpinism over the next 40 years of his life. When we go into the mountains we don’t go there to become rich, or famous, or good-looking, or to have a nice car and a big house. We climb to transform ourselves, to come back someone different. And we must want that unknown future self more than we want to be who we are now. Most of us are naturally afraid of change—especially personally, the most deeply terrifying change. But I do believe that once you have done it, once you’ve been on and returned from these quests, no matter how quixotic they seem in the moment, you come back different. That is revelatory! Great journeys (of many kinds) reveal profound lessons about ourselves and this universe: an understanding that we are not, in fact, static, but that we can change, and we can become someone different and someone better. 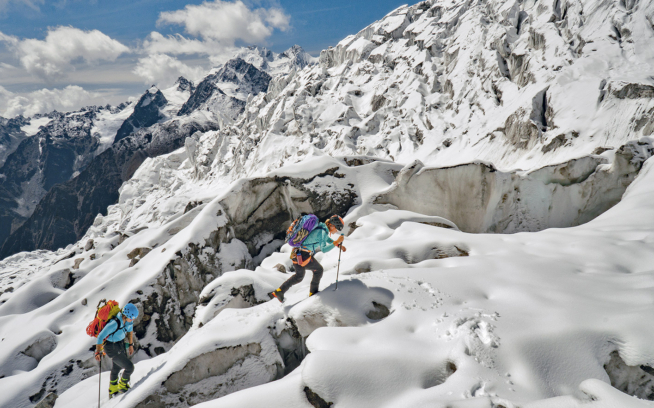 Among the many beauties of alpinism is the fact that there are no significant external motivators. There is no competition, no medal, no prize money. Because it is objectively useless to climb mountains, the magnitude of the personal transformation must be great for us to give so much, including our lives sometimes. Climbing mountains has much to teach a person. The rare ones who possess the drive to temper themselves in the forge of climbing at the highest level invariably have much to tell us, to teach us, to share by the end. People say that Ueli was gifted, that his ability was innate, given. That’s completely wrong. Achieving an Ueli Steck level of mastery in climbing is a long-term commitment that requires a consistency that very few people are capable of. What made him that way is, in itself, worth studying and learning from. 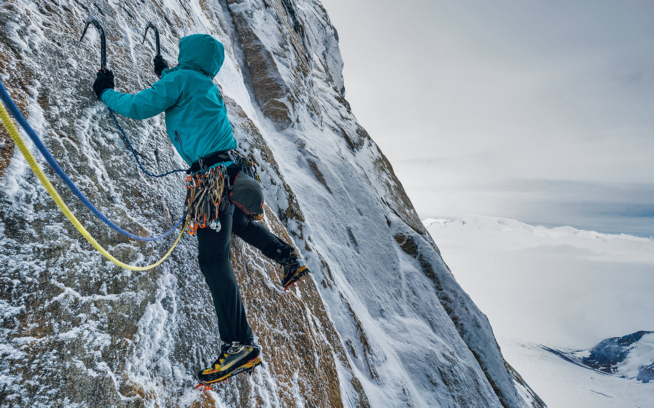 Alpinism has the power to expose the timid among us and show them what true courage looks like. Examples hold the seeds of empowerment and thereby a chance to overcome fear and live more freely. His was a heroic process, which makes the outcome all the more tragic. 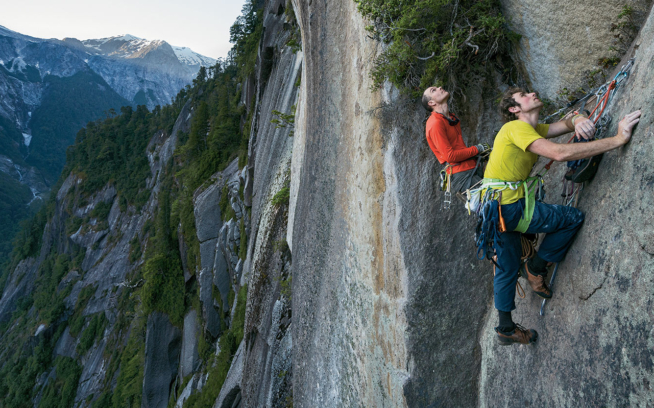 He had a vision of what could be accomplished by a fit, technically excellent climber, and he made himself into the man that could accomplish that vision, despite clear risks. That is something to be honored and respected. What immeasurably compounds the tragedy of his death is that his process was nearly complete; he had almost nothing left but the sweet part of life. I don’t believe in the platitude of “he died doing something he loved.” The fact of death is much bigger than the circumstance of death; that Ueli’s came fast was perhaps a blessing, but that it was violent gives me nightmares. The fact of his life is what we must remember. When a major climbing figure like Ueli dies, there is always second-guessing and criticism. In my opinion, Ueli got more than his fair share of criticism. Most of the criticism, I believe, was rooted in human insecurity. People didn’t believe anyone could do what he did; their own personal fears were too overpowering to even allow the possibility of his excellence and achievement. Or they believed the risks he assumed were unjustified, yet this view is blind to the mastery, often ignorant of the years of apprenticeship. These are judgments made by people whose perspectives are unable to bend, to believe. The loss is to those who cannot see the beautiful in the dangerous and in the risk well-executed. And wouldn’t it have been wrong of him, a man who had a clear chance, to not make himself into the climber he was? Wouldn’t it have been wrong of him to ignore that knowledge, that intuition? Is it not wrong to allow greatness to rust on a shelf in the name of playing it safe? Yes, and we all would have been poorer for it. Tragedy is relentless because nothing­—no amount of heartache, wishing, crying or sadness—can bring him back. So what about the risks he took? The very risks that took him away? Taking risk is a judgment, and judgment is, by definition, making decisions, often life and death decisions, with imperfect information. It is not mathematics, it’s not 2 plus 2 equals 4. It is imperfect. Whatever happened to cause his fall, we will never know. And I’d argue that it doesn’t matter; it’s simply not possible to be right all of the time. It’s not human. All alpinists know this. Ueli definitely knew it and he lived with it. He climbed with it and he died with it. This doesn’t make it right or wrong or good or bad or selfish or benevolent. It simply is what life, and alpinism, is made of. We create this false security around ourselves every day. We believe that we’re in control of the world, and we’re all going to live to be 90 and die peacefully, in our sleep, surrounded by loved ones. The world I’ve known is almost always much more unpredictable, much more ruthless and much more tragic. It is also beautiful and inspiring, and we often celebrate beauty and inspiration. But we push away the things we don’t like, and we don’t like tragedy when it’s real, when it’s ours. We prefer fake tragedy, on the stage or a screen. How do we live, be present, with reality in an inherently tragic world? How do we go out again and climb, or live, and make judgments that we know are imperfect and eventually going to be incorrect? And incorrect at a potentially very high price? We need to admit that the risk exists. And we need to do more to respect and even idolize those people that gave their lives to teach us this hard, horrible fact. We need to think about them, to tell stories about them, to laugh about them, to remember them—because they are here with us as long as we are here. I feel lucky to have known Ueli. And the world is better because he lived the way he did. His spark of life was so bright. His vision was so far-reaching. In recent years, I found his humility endearing. He was vulnerable with people, something that requires a rare strength and sensitivity. We need people like him, human heroes. We need to be inspired by greatness. We need Ueli to help us deal with our own puny fears. We need him to show us what it really means to live by one’s dreams. Ueli shaped our community and the sport of climbing, I believe for the better, by first seeing and then becoming what is humanly possible. Benevolent leadership by good example feels rare in today’s fractious world. It is something few people ever accomplish. Ueli lived and died as that kind of leader. Thank you, Ueli, we can never repay you for living your greatness.